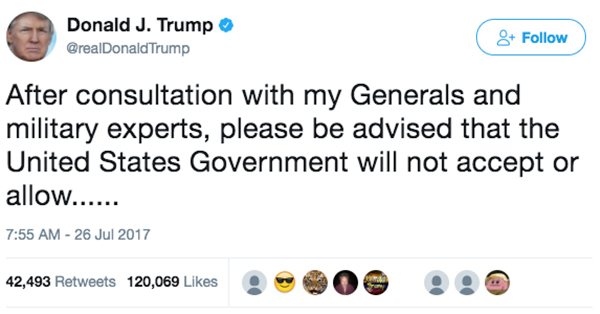 President Trump announced yesterday that he is banning transgender individuals from serving in the military in any capacity. This is a great victory as it erases a key element of former President Obama’s attempts to push the extreme LGBT gender ideology throughout society, using government as a battering ram, forcing people to abandon common sense and reason to accept a redefined understanding of gender. An article below from the Daily Signal provides more information. IOF is working with our partner, Real Women of Canada, to protest the decision of the Trudeau government to direct $650 million in foreign “aid” funds to push for abortion on demand in developing nations in Africa. See the article below for more information. 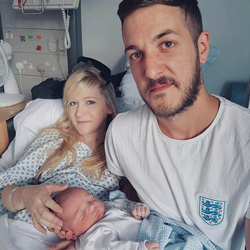 IOF mourns the tragic case of little Charlie Gard, who is a horrible victim of Big Government thinking that it can do a better job taking care of him than his own loving parents. Charlie’s terminal condition might have been helped by experimental treatment in the United States, treatment that his parents sought and had raised the funds to provide, but the government-run health system in Britain refused to budge. Now he is being left to die in a cold, sterile hospital room. IOF’s Doug Clark writes more below. Allan Carlson writes a moving obituary of a great supporter of the family and IOF, the late Norman McClellan, who recently passed away at age 90 after a brief illness. Read about this American hero below. When we look at the overall landscape for the natural family around the world, we see our most important institution under constant attack by those who wish to redefine reality to suit their own desires. Whether it is seeking to redefine marriage, gender, or parenthood, or to advance policies that damage the family such as abortion, surrogacy and Big Government Control of health care and the social order, leaders on the left like George Soros are constantly at work to press their agenda. It’s the International Organization for the Family that stands in their way, organizing, educating and advocating for the natural family. We’re making a tremendous difference, but we need additional financial resources to continue to be successful. 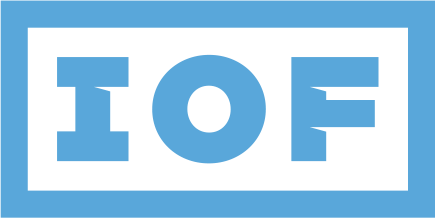 Please make a financial contribution to support IOF today. Fortunately, thanks to a generous donor who has stepped forward with an amazing $100,000 matching grant, every contribution to IOF throughout the summer will be matched dollar for dollar. Whatever you can afford to donate, please act today, realizing that your gift will double in effectiveness thanks to the matching grant opportunity. 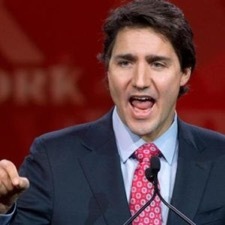 The “liberal” (left-wing) government of Prime Minister Justin Trudeau has made promoting abortion and other population-control measures in Africa the centerpiece of Canada’s foreign policy. His government has committed to spending $650 million over the next three years to promote what it euphemistically calls sexual and reproductive health rights in developing countries. This includes funding campaigns to legalize abortion in countries where it’s currently illegal (most of them in Africa). In June, Canadian Foreign Minister Chrystia Freeland told the House of Commons that pushing abortion overseas is “at the core of Canada’s foreign policy” – not fighting poverty and disease, not projects to provide clean water and maternal care, not promoting democracy and human rights but facilitating the deaths of unborn children. The World Congress of Families (whose parent organization is IOF) is committed body and soul to fighting this cultural imperialism. We are partnering with Real Women of Canada to launch a petition combating the Trudeau government’s anti-life agenda. Milton’s eloquence expresses the sentiment of millions around the world who mourn the fate of Charlie Gard, infant son of Chris Gard and Connie Yates, husband and wife. After thousands of hours at the bedside of their beloved boy and months of agonizing court battles pleading for the opportunity to seek potentially life-saving treatment for him elsewhere, Chris and Charlie announced on July 24 that the long delay had extinguished any potential he had for recovery, and that they are withdrawing their long-fought appeal from the courts’ decision that allows the hospital to remove him from life support. Absent a miraculous intervention, little Charlie will be with the angels very soon. Some people consider little Charlie one of the world’s unluckiest children, among only sixteen afflicted with his rare disease. Others esteem him one of the world’s luckiest to have parents who, in their own words, “love him more than life itself.” Connie stated, “One little boy has brought the world together and whatever people’s opinions are, no one can deny the impact our beautiful son has had on the world, and his legacy will never ever die.” It is a legacy of loving parents, a married mother and father, seeking to protect and sustain their precious child— an ideal that every child deserves, says Dr. Allan Carlson. And it is a reminder of the primacy and power of the natural family, civilization’s fundamental unit entitled to protection by society and the State— and, if need be, from society and the State. We must never forget the legacy of Charlie Gard. A stalwart friend of The World Congress of Families and its parent organizations, Norman P, McClelland, died in Phoenix, Arizona, on July 13, after a brief illness. He was 90 years old. Starting with fewer than fifty customers, Shamrock steadily grew over the decades. After service in the U.S. Air Force at the tail end of World War II and earning a degree in Business and Agriculture at the University of Arizona, Norman joined the family business. He became its President in 1954. Under his guidance, Shamrock transformed from a successful local dairy into the largest food distribution corporation west of the Mississippi, with operations in a dozen states and annual sales well into the billions. Shamrock also now stands as one of the largest family-held companies in the United States. Early in his role as President, he introduced an innovative employee credit union and a novel distribution system designed to protect both the company and the independence of the distributors. Shamrock was (and is) also known for paying good, family-sustaining wages. Starting in the mid 1980’s, Norman arranged for me to receive his company employee newsletter. It was (and is) remarkable for the primary attention which it gives to new marriages, births, adoptions, wedding anniversaries, and the achievements of employees’ children. Norman was deeply devoted to his immediate family. As a girl, his sister was struck by poliomyelitis. Despite the consequent disability, and with her brother’s constant encouragement, she gained a degree in accounting and became Secretary-Treasurer of the company. Following her death, Norman donated the funds to create in her honor McClelland Park at the University of Arizona, which houses the School of Family and Consumer Sciences. Defying the problems that commonly haunt succession issues in family-held companies, Norman also successfully raised his son Kent to replace him at the proper time as CEO and President of Shamrock Foods. This strong sense of attachment also reached his extended family. As a ten-year-old boy, Norman had returned with his parents to County Down, now part of “Northern” Ireland, to visit uncles, aunts, and cousins. He delighted in a place where “the smells of the air are all of hay and of the sea, and one’s total feeling is of being in a far place untouched by what we call progress.” In later years, he personally organized large Reunions for “The Parkers of Ballykeel” and “The Wrights of Finnard,” important parts of his ancestral tree. In conjunction with these, he devoted a considerable amount of time and energy to write and publish two elaborate genealogical books under those titles. Norman also became a board member of and benefactor to the Irish Cultural & Learning Center of Phoenix. For this work, he received in 2016 at a ceremony in Dublin the Distinguished Service Award for the Irish Abroad from the President of the Irish Republic. Norman was a good Christian man, as well. As befitting a member of the Scotch-Irish diaspora, he was a strong [faithful or orthodox] Presbyterian, serving among other posts as an Elder of Valley Presbyterian Church in Paradise Valley, Arizona. In physical terms, Norman was a true, almost iconic, son of the American Southwest. When I first met him over thirty years ago, I was struck by his lean frame, his (naturally) tanned face, his white hair, his piercing blue eyes, and his remarkably calm disposition, which he attributed to “the gentle manner of all Parkers.” Nothing changed over the following decades. He seemed right out of Central Casting for a Tombstone film remake… only authentic! Norman’s focus on family also extended to his collaboration with the predecessor organizations of the International Organization for the Family. He joined the Board of the Directors of The Rockford Institute in 1985 and enthusiastically supported creation two years later of its Center on the Family in America. While serving as Chairman of the Board, he encouraged me in several critical ways to convene the first World Congress of Families [WCF], finally held in Prague, the Czech Republic, in 1997. He then helped guide the spinoff of the Congress project as part of a new Howard Center for Family, Religion & Society. At WCF IV, held in Warsaw, Poland in 2007, I was pleased to present him with our Familias Award for Distinguished Service to the Natural Family. At the time of his death, he remained an Honorary Member of IOF’s Board of Directors. Norman is survived by his wife Barbara, daughter Kathe, son Kent and his wife Celia, and cherished grandchildren Joshua, Joy, Chandra, Kera, and Devon. May he rest in peace. Consumer Affairs recently posted some nice “tips” from Bizhub on minimizing the damage that your divorce inflicts on your children. “Divorce can have a lasting impact on children,” says the story, “but there are a few things parents can do to make the change easier for kids to handle.” So what are the secrets to a happy divorce? “Curb negative talk,” for starters—don’t trash your soon-to-be-ex to your kids. 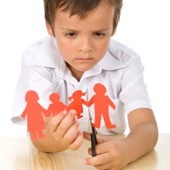 “Be sensitive,” and “provide reassurance to your children that both parents still love them.” Unfortunately, research reveals that such namby-pamby advice can do little to relieve the severe damage that divorce inflicts on children, damage that persists well past childhood. want future updates? Subscribe Here. The International Organization for the Family (IOF) depends on voluntary contributions from individuals, businesses and organizations to support its work. IOF receives no government funding of any kind. IOF is an international network of pro-family organizations, scholars, leaders and inter-faith people of goodwill from more than 80 countries that seek to protect and promote the natural family as the fundamental social unit and the ‘seedbed’ of civil society (as found in the UN Universal Declaration of Human Rights).